Did the ’72 Summit Series have impact on the World Junior Hockey Championships? This year marks the 40th Anniversary of the ’72 Summit Series and the iconic Paul Henderson goal in Game Eight. It was rightly named Canada’s greatest sports moment of the last century and I can’t help but feel that it continues to have a strong influence on the very popular World Junior Hockey Tournament. It also continues to illustrate the passion that Canadians have for hockey and the belief that the game belongs to us. Looking back on the ’72 Summit Series, the country expected to win the series even if we didn’t know much about our opponents back then. All we knew was that we didn’t like their politics. During the series we came to understand their impressive hockey skills and appreciative their level of fitness. Many of their innovative training techniques were later instrumental in improving the game of hockey in Canada. It also showed us that while hockey will always be considered our game, it belongs to the world. 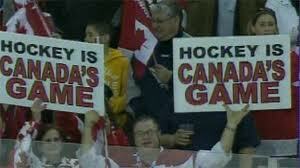 The Summit Series was perhaps the first time that Toronto and Montreal fans could agree on cheering for the same team. It’s estimated the 80% of the country watched or listened to that historic game and we still cherish the memory of the Henderson goal like it was yesterday. Today, our passion for International hockey continues to flourish. The world has gotten smaller and we know a lot more about our opponents at both the hockey and political levels. The media now provides us with voluminous quantities of detailed scouting information to help us keep track of who our favourite NHL teams may draft and this adds a new level of interest in the Junior Championships. We watch the tournament with a proper amount of respect for the opposition, but always with the expectation that – as in 1972 – Canada will prevail. There is unprecedented network coverage of the team selection process and the intense media frenzy continues throughout the tourney. TSN took the coverage to a whole new level in the mid ’90′s and today social media such as Facebook and Twitter have expanded fan engagement still wider. Everything is analyzed and re-analyzed so that we seem to know everything there is to know about every player on the Canadian side. Our viewing habits have become more sophisticated since ’72; we watch the junior tournament with a very critical eye. We continue to cheer for another Canadian gold medal and cheer for players because they’re from our home town, play on our local Junior teams or have been drafted by our favourite NHL teams. But we also watch the other teams in the tournament to assess their NHL potential as well. They may well be playing on our favourite team alongside a Canadian star some day soon. The junior games may never have a moment quite like the Paul Henderson goal that we remember 40 years later, but Team Canada will always represent the pride we feel for Canada. Let’s all hope the last song played at the end of the upcoming tournament is “Oh Canada”. About Guest blogger Jim Prime: Prime recently co-authored “How Hockey Explains Canada” with Paul Henderson and has written more than a dozen sports-related books and has contributed articles to various periodicals. He has coauthored books with the immortal Ted Williams and the immoderate Bill “Spaceman” Lee. He grew up a rabid Montreal Canadiens fan on Long Island at the southwestern tip of Nova Scotia. Jim is cofounder of the Bluenose Bosox Brotherhood and acting Lieutenant-Governor for Nova Scotia of Red Sox Nation. He lives with his wife, Glenna, in New Minas, Nova Scotia. This entry was posted in Blog, Blog and Stories. Bookmark the permalink.